SEPTA officials look over the damaged train cars after a crash at 69th Street Transportation Center in Upper Darby. 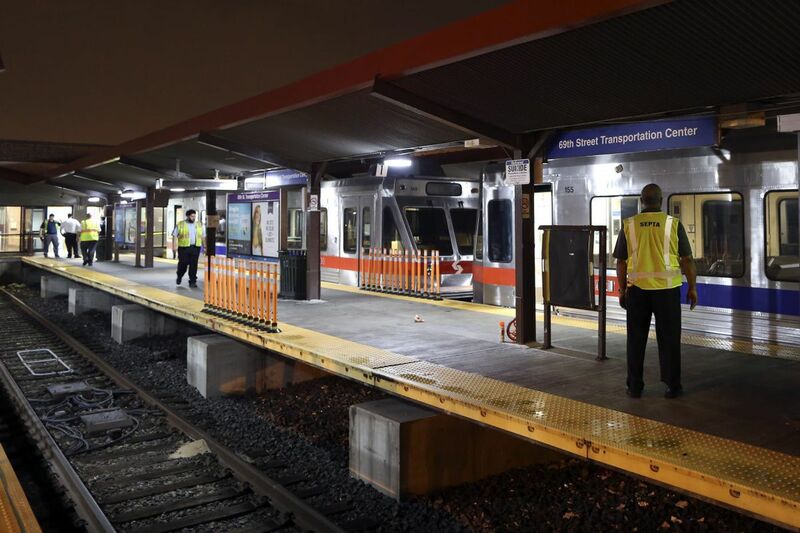 Norristown High Speed Line trains are operating on a modified schedule again this morning following a crash early Tuesday that injured 42 people at the 69th Street Terminal in Upper Darby. SEPTA says passengers should expect delays as trains are operating only every 20 minutes between 69th Street and the Norristown Transportation Center. There is no express service. The National Transportation Safety Board has launched an investigation into the cause of the crash. None of the injuries suffered in the crash were life-threatening.